Dr. Ted Kimball delivers general dentistry treatments in a friendly environment that leaves patients feeling listened to and cared for. Our patients routinely compliment us on our ability to provide gentle treatment in a comfortable environment. Fillings Teeth that are damaged by decay can be preserved by removing the diseased portion and filling the area with materials such as amalgam, porcelain or composite resin. Tooth extraction Although we make every effort to preserve teeth, those that are badly damaged by decay or trauma may require removal. We offer a variety of tooth replacement options. Crowns Made of metal, porcelain, or porcelain fused to metal, a crown is made to fit over a damaged or broken tooth to help prevent additional damage. We also use crowns to restore dental implants. Bridges Dental bridges are one way of addressing a missing tooth. 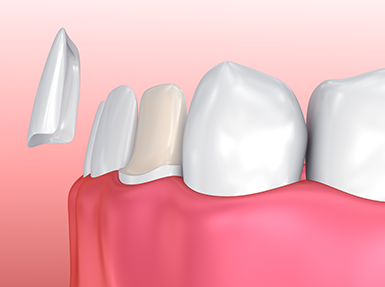 A bridge contains an artificial tooth that is anchored in place with crowns placed over the healthy teeth on either side of the missing tooth. Partial dentures Patients who are missing several teeth may benefit from a partial. Replacement teeth are attached to a base that is the color of your gums. They can be secured into place with clasps or precision attachments. Dentures This may be an option for patients who are missing most or all of their teeth. Dentures are removable appliances that restore the ability to speak properly and chew food effectively. If you have a variety of oral health problems such as untreated periodontal disease and damaged or missing teeth, know that there are dental treatments to restore function and improve the appearance of your smile. The first step to improving your smile and restoring form and function is to undergo a thorough evaluation to identify areas that must be addressed. Dr. Kimball will recommend a treatment plan designed to address your needs. 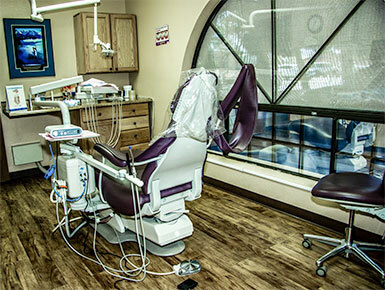 If you are diagnosed with periodontal disease, we will work to get that under control first. You can learn more about gum disease by visiting our Periodontal Treatment page. The same treatments outlined above are used in restorative dentistry. The only difference is that people who require restorative treatment often have multiple issues that require a series of treatments to return full form and function to their mouths. If you have not been to the dentist in years and have difficulty eating certain foods, speaking properly, or you’re hesitant to show your teeth when you smile because you are embarrassed by missing teeth, please call our office to schedule a consultation and learn how you might benefit from restorative dentistry.